Day 1: Make sure you post your crowdfunding campaign on all your Social Media pages - like Facebook, Twitter, LinkedIn, etc., with the link to your campaign page. Get all your project team members, your family and your circle of friends to share your crowdfunding campaign online and offline to their own networks both in India and across the world. Get your friends and family to fund you early in the campaign. Keep track of the contributions from your network to make sure you hit the 30-40% of funding goal at the earliest. Campaigns that get such a good start increase their chances of attracting more interest from the crowd, and hence, reach their target faster! Social Media and online networking is the basis of crowdfunding. You need to engage your audience online to spread awareness & receive contributions. Social Media makes it easy to connect to your pre-existing network and get them excited about your campaign and also share it with their own networks across India and the world. Facebook, Twitter, WhatsApp, LinkedIn, Pinterest, Instagram can all be used. Get your website updated so that it reflects the campaign story. Reach out to other communities on social media, that you had identified as having a natural affinity with your idea or cause - inform them of your campaign launch and get them excited enough to contribute and spread the word. You are not only asking the crowd to contribute to your crowdfunding campaign but also to join you in this endeavour of yours. Choose the right medium: When you plan your crowdfunding campaign, make sure to choose the social media channels that are most effective for you. Pick medium where you have the most friends/followers. This ensures that your posts are shared to a wider network. Pick a hashtag for your crowdfunding campaign: A unique hashtag that can be used universally for all your posts related to your campaign. This allows you to organize all your posts under one page and also makes it easier for people to see all the posts. Encourage your friends and followers to use the hashtag as well. Create a Facebook Page: A campaign-specific Facebook page can play a central space for all your posts and updates. You can engage with your existing community and expand it through outreach. 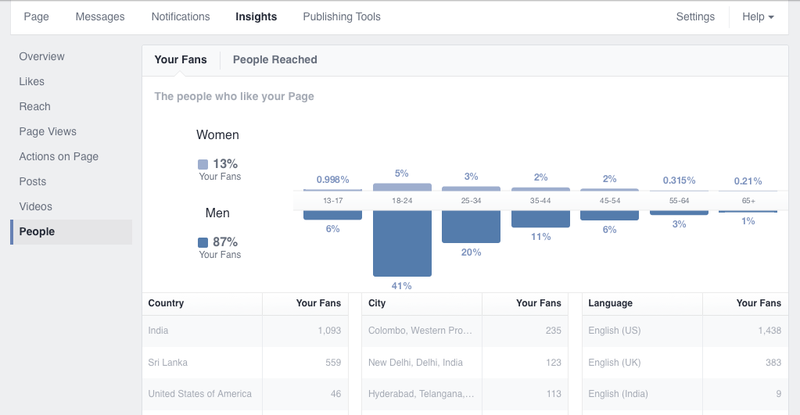 Every Facebook page comes with Facebook Insights. This provides you with the necessary analytics to monitor your crowdfunding campaing's performance based on age, demographics, shares, reach etc. The perfect content mix: The aim of using social media is to increase awareness of your crowdfunding campaign & drive funders to your campaign page. Use a mix of informative & sales-type posts. About 80% of posts related your crowdfunding campaign should be informative and should educate the crowd. There are people out there who will be interested in your product or NGO or idea or event that aren't aware of your campaign on Fueladream, the aim is to reach out to them as well. 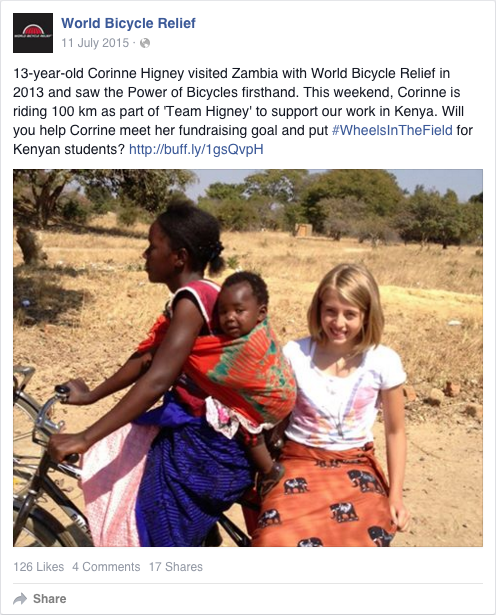 These types of posts will drive engagement & make people come to your page to find out more. For a product based campaign, post interesting photographs & videos of your product. Sales-type posts: The other 20% of your posts should drive the reader to contribute to your crowdfunding cause. A call to action creates a sense of urgency and drives readers to contribute. Track results of your social media strategy: Keep a constant eye on the results of your social media strategy. There is always more that can be done but it needs to be done right. Don't flood your campaign page with unnecessary updates. Use popular and trending hashtags to raise awareness for your crowdfunding campaign. Always include your campaign link whenever you tweet about it. Ask for retweets to help spread the word. Tweet at people (even those you don't know) who might have an interest in your campaign. Gain followers by following others and actively engaging them. Be careful not to tweet too much - nobody likes spam. Make sure your teammates also tweet to their followers about the campaign. Tell people about your rewards if they are innovative - be specific. Use both a personal and a campaign-specific profile to send regular crowdfunding campaign updates. Always include a link to your campaign story whenever you write about it on Facebook. Ask people for feedback and engage them with questions. People are more likely to "Like" and "Share" media, not just text. Use pictures & videos to show your campaign, rewards, sneak peeks & more. Tell people about your rewards - be specific. Take pictures documenting your campaign journey. Take pictures of events relating to your campaign. Follow people on Instagram who may be interested in your project or work in the industry. Tag words that relate to your project. Tag your pictures with a link to your campaign. Use photos to show your rewards, campaign and more. Use your Pinterest account to build your campaigns vision. Pin pictures of your rewards & anything else visually interesting that relates to your project. Pin videos & images that lead back to your campaign. Include a campaign link on your profile page.